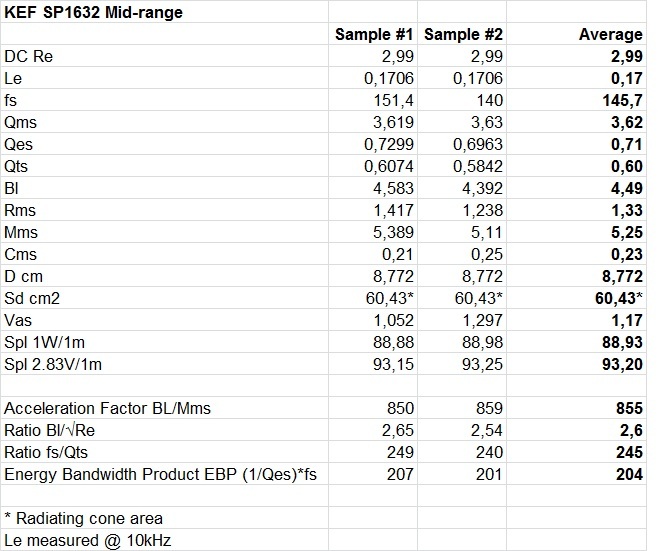 I’ve published a full set of measurements on the very nice and affordable SB Acoustics SB15NRXC30-8 mid-woofer. Details can be found here: “SB Acoustics SB15NRXC30-8”. 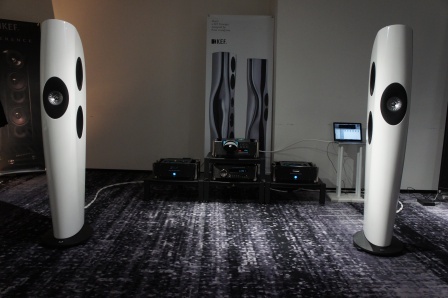 Read full article |Comments Off on SB Acoustics SB15NRXC30-8 Measurements! New KEF SP1632 driver unit! I’ve used concentric (co-axial) drivers from SEAS in the past and liked them, but unfortunately SEAS hasn’t refined the concept much the last 15 years and there are not generally speaking many good concentric drivers available to choose between for the DIY enthusiast. One company that certainly has improved the concentric driver concept during the last two decades is KEF and the relativity new Uni-Q drivers from the “R Series” are no exception. 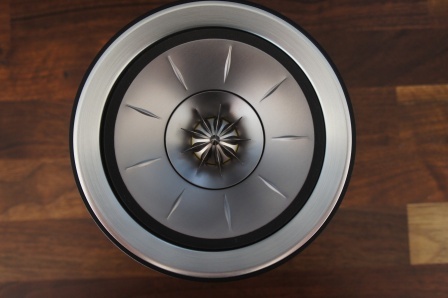 The “R Series” concentric driver inherits its technology in a simpler variant from the KEF flagship loudspeaker the “Blade”. 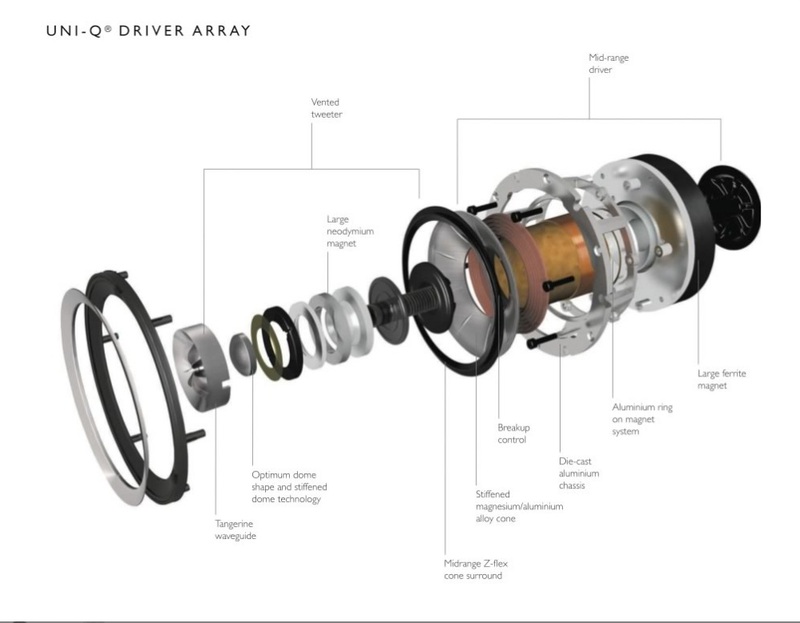 “The new Uni-Q MF/HF driver array is a masterpiece. Midrange response is amazingly fast and clean, thanks to a braced magnesium/aluminium alloy cone, with KEF’s Z-flex surround smoothing the transition to the front panel and a sturdy die-cast aluminium chassis that prevents resonance being transferred to the cabinet. At the acoustic centre of the midrange cone is the sophisticated vented tweeter that endows KEF Blade with such startlingly pure HF response. 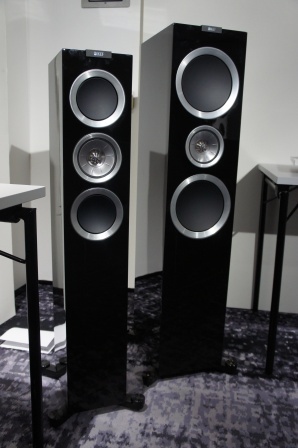 With a large neodymium magnet and a computer-optimised dome structure so stiff that it operates pistonically over its entire working range, the upper registers are articulated with flawless precision – and to capitalise on Uni-Q’s point source characteristics, KEF’s ‘tangerine’ waveguide helps to disperse the higher frequencies evenly across a wider angle to flood the room with an intricate and refreshingly natural soundfield. 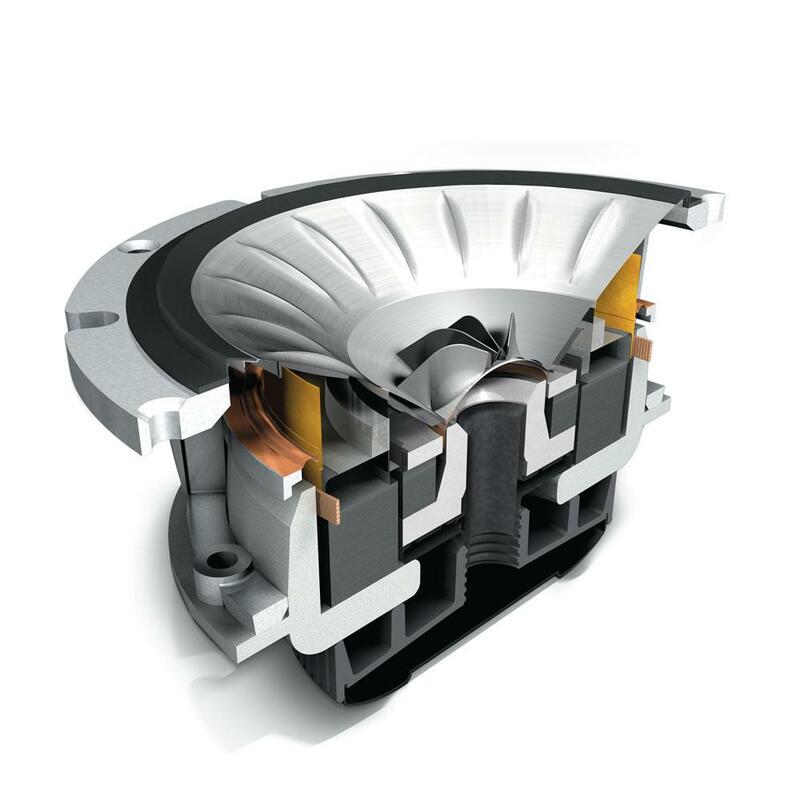 The KEF SP1632 driver unit used in the “R Series” is a 5” mid-range driver paired with a 1” tweeter placed in the centre of the cone. This driver can’t be used for mid-woofer duties, since it’s a pure mid-range driver and consequently it has to be used in a three way loudspeaker design. 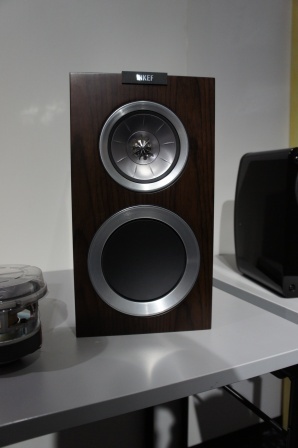 I intend to use the KEF SP1632 in a small three way called “Concentric Three – M5”. Note! The KEF SP1632 driver isn’t generally available to DIY:ers. Either it has to be stripped from a loudspeaker in the “R Series” or ordered as a spare part, but this requires a valid “R Series” serial number in order to be able to obtain the driver. Even for a 4 Ohm driver unit it has a low voice-coil DC resistance (Re). Slightly different free-air resonance frequency (Fs) between the two samples. It looks like the tweeter is using ferrofluid in the magnetic gap and it has a suppressed impedance peak at the driver resonance. The two tweeter’s impedance doesn’t match each other perfectly, but it shouldn’t be a problem in the cross-over design. 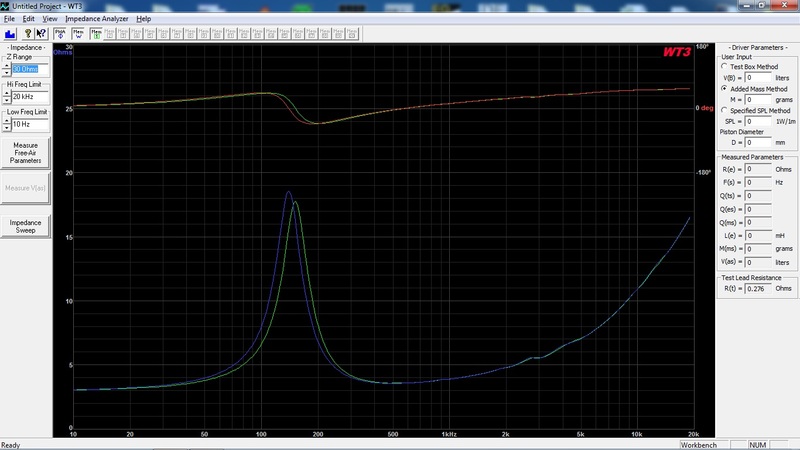 Stay tuned for frequency and distortion measurements! 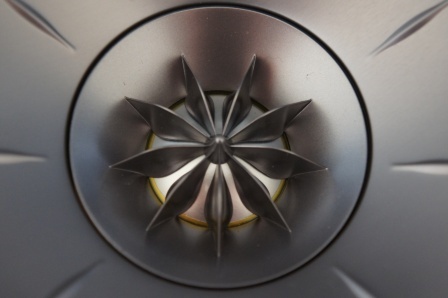 Read full article |Comments Off on New KEF SP1632 driver unit!